issue of the Regency Plume, under the title Who's Doing the Work. The transition of the textile industry from home to factory happened gradually, instigated by inventions in the eighteenth century. 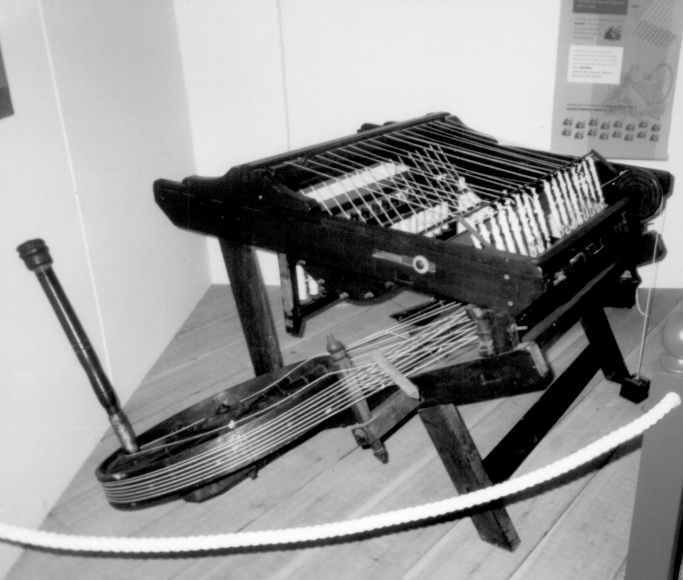 The "flying shuttle" mechanized the movement of the shuttle carrying the weft thread across the loom. 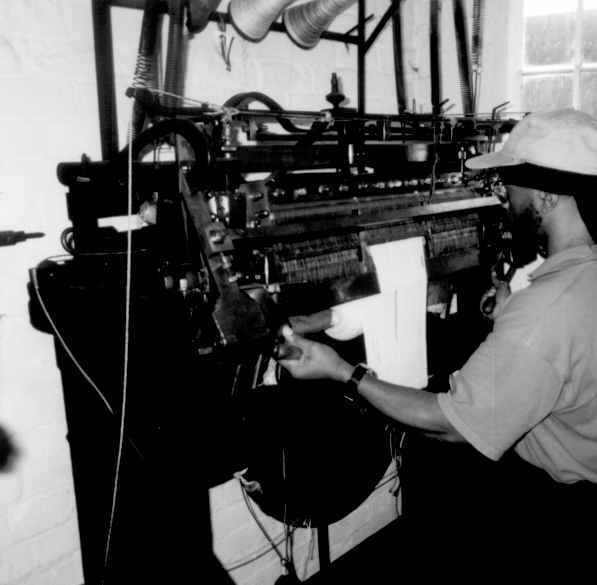 Previously it had to be manually pushed from one side of the loom to the other, limiting the width of cloth to a man's arm-span, or requiring more than one man to operate the loom. Invented by John Kay in 1733. The "spinning jenny" spun several spools of thread at a time. Until the jenny was invented it took several hand spinners to keep up with one weaver's need for thread. The spinning jenny was used to produce weft thread. Invented by James Hargreaves in 1764. (Photo 1. SpinningJenny.jpg Spinning jenny, Helmshore Museum. The "frame" produced warp yarn. Powered first by horse, then water and finally steam. It was the first blow to domestic textile production. Invented by Richard Arkwright in 1769. The "mule" combined the working methods of the jenny and the frame. Invented by Samuel Crompton in 1779. These inventions boosted the production of yarn and stimulated the invention of power looms. 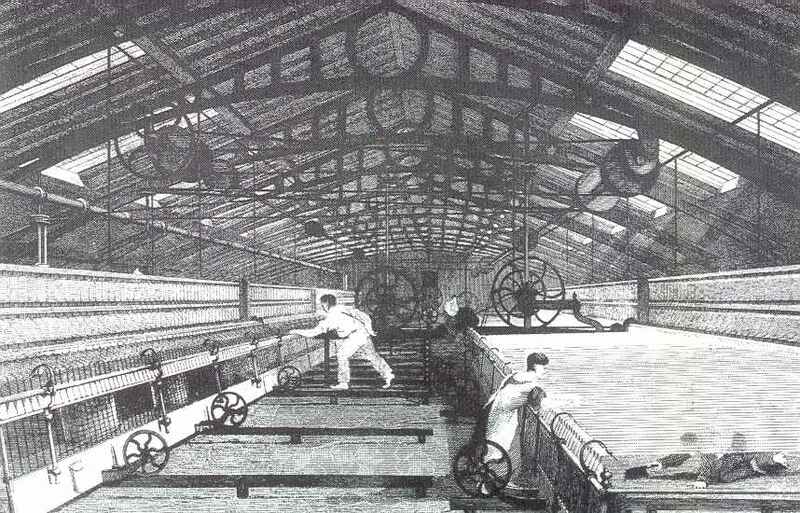 By the Regency period the majority of cotton and worsted spinning took place in mills. Wool spinning followed by the end of the Regency. 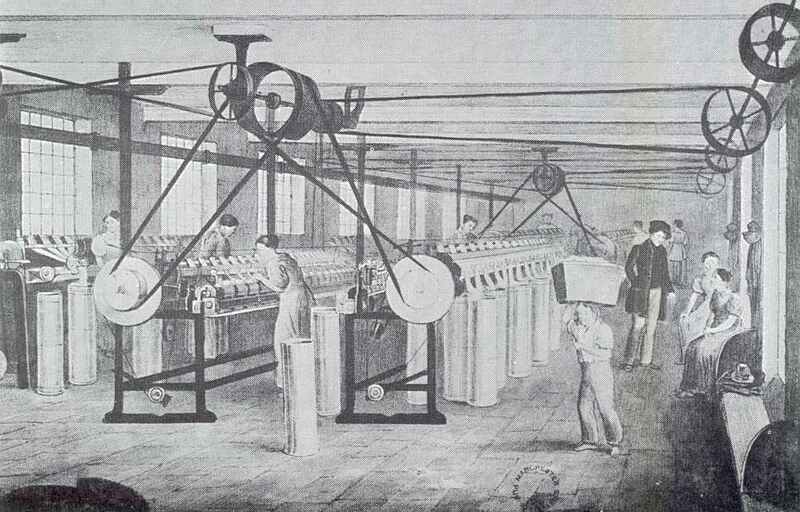 Cotton weaving was mostly performed in mills by 1810. Of course some home industry remained, and adoption of new technology went more speedily in some instances than others. The factories were small shops at first, and these were still prevalent in the Regency. In the process of turning cotton into cloth, the bales imported from the Mediterranean or America are broken open, the cotton picked clean of twigs and dirt and carded. By the end of the eighteenth century, carding engines were replacing hand carding. Then another machine lightly twists the carded cotton into "roves," soft ropes that easily pull apart. The roves are put on the mules and spun into yarn. By the nineteenth century, the mules had grown in size to hold many spools. After weaving, cotton cloth was bleached. The introduction of chlorine in 1785 changed this process. Prior to this time, the cloth was laid out in fields for the sun to bleach, a process that took months. Chlorine reduced this process to a few days. Then the cloth might be dyed, then printed. Hand printing with wooden blocks was the technique until the advent of mechanized roller printing in the 1790's. Wool fibers were carded, combed with hot combs that separated the long and short fibers. The short fibers were used in the woolen trade. Long fibers went through additional combing, straightening, smoothing and making all the fibers parallel. It was then lightly twisted and then spun on the "throstle," a variation of Arkwright's frame. Worsted cloth was thoroughly washed to remove the oils used during spinning, and pressed. Then it was ready. After carding, or "scribbling," as machine carding was known, short staple wool would be more finely carded, lightly twisted into "slubbings," and spun. Wool took longer than the other fibers to be adapted to machine spinning, but by the end of the Regency period most woolen yarn was also spun on mules. Then the woolen cloth was taken to a fulling mill, soaked and pounded by huge hammers, "felting" the cloth. It was taken to "tenterframe" and stretched to dry into a standard size cloth. It would then sometimes be wetted again and brushed with teazles, a plant with a prickly flower head, to raise the surface. Then it would be "cropped" by hand with large shears. This process also was being replaced by mechanization by the Regency. Development of the stocking industry proceeded in a different fashion. The stocking frame was invented in the sixteenth century, resulting in framework knitting growing in the seventeenth and eighteenth centuries. In 1812 there were over 9,000 frames in Nottinghamshire. Stocking manufacture was chiefly a cottage industry, but few stockingers could afford to buy their own frames. Hosiers loaned frames, requiring the stockingers to sell the finished stockings back to them. Hosiers controlled the stocking trade. There were some small workshops, such as the one I saw at Ruddington. At the time of the Luddites, a practice of weaving wide cloths and cutting them to make stockings, known as "cut-ups," which were sold for much less than the traditional stocking, was severely impacting the stockingers' wages. The issue of child labor in the nineteenth century is often misunderstood by our mental frame from the latter part of the twentieth and early twenty-first. Children have always worked, just as women have. In a family enterprise: farming, cottage weaving, small merchandising, and many others, children beyond infancy were given simple tasks to do. A cottage weaver's child carded the fibers, while older daughters and the wife spun yarn. The hand-operated loom took considerable strength and skill, and the father or older sons did the weaving. Everyone cooperated, and most of the time nobody was taken advantage of or overworked. Life wasn't easy, but the family was a unit, and each person understood his or her value in it. Photo 3. SpinningMule.jpg Spinning mules from A Working Life: Child Labour Through the Nineteenth Century. Note the child (scavenger) cleaning beneath the machine. With the advent of textile machinery, minding the machines did not take especial skill or strength. Mill owners soon found that women and children could be paid less and accomplish the same work as men. It seemed like a "no-brainer" to them: fire the men, get the work done cheaper. Why would they want to do anything else? In their defense, times were hard for the mill owners also. 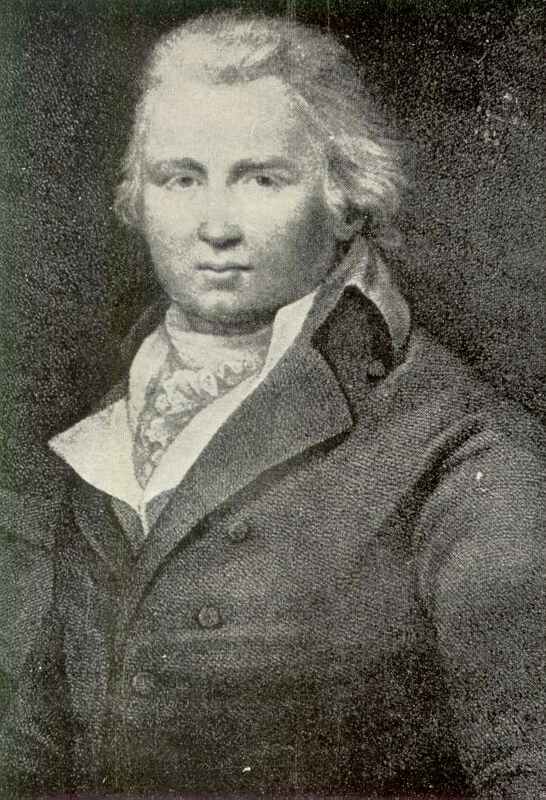 The wars, with Napoleon's Continental System and Britain's Orders in Council brought exports almost to a standstill; many mills were bankrupted. Several years of bad harvests caused steep rises in prices of food and other goods. England's economy was in severe straits. The owners were encouraged to think cutting corners was justified to stay in business. 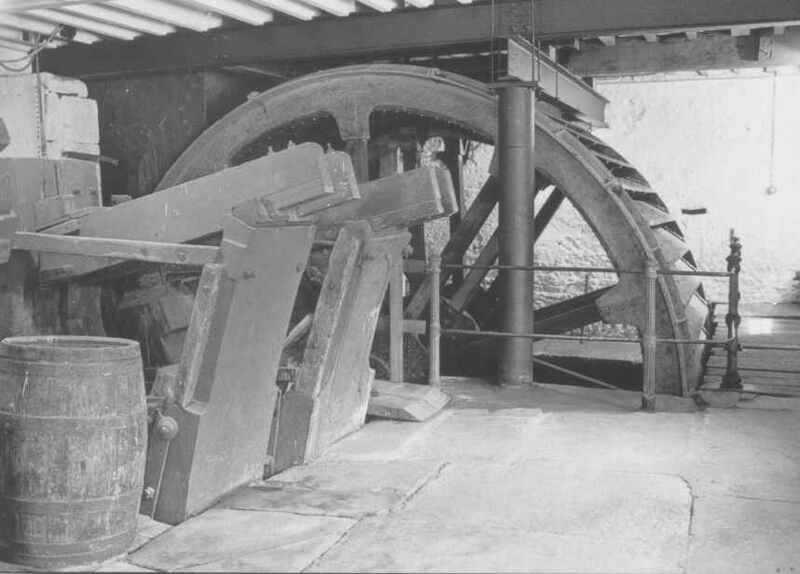 Not all mill owners resorted to exploitation (see Robert Owen later in this article), and those who treated their workers more fairly discovered that their profits were not diminished. It seems that a little thought might have suggested a major difficulty with replacing the men with women and children. Give the men justification for resentment, then idle them so that they have lots of time to mull over their anger. Seems like a recipe for major trouble to me! But that's the wisdom of hindsight talking, and it isn't what most of the mill-owners thought. Machinery has its own pace of performing, and workers in a factory have to match their pace to it. Today, with our complete acceptance of assembly lines and familiarity with the concept that the machinery controls the rate of work, it's difficult to understand how foreign that idea was in the early nineteenth century, and how it stole autonomy from the workers. Workers had no power to negotiate their hours or rate of pay--unions were illegal--and they were exploited to a degree we can hardly conceive. They usually had to arise at 5 in the morning, arrive at work by 5:30. They worked, with sometimes no more than one break of 40 minutes to an hour, until 8:30 at night.
" . . . Should you not think it a dangerous thing to a young person to be from day to day inhaling the finer particles of the filaments of cotton?" " . . . Be so good as to state how the constitution would be safe under such circumstances from receiving those things into the lungs?" "Expectoration is occasioned, which brings it back again. . . "
Charles Burns, a fourteen-year-old boy who worked in a flax mill testifying before the Committee on Factories Bill in 1831-31, said that when he got home at night and went to bed, he coughed up blood.
" . . . Their complexion is sallow and pallid--with a peculiar flatness of feature, cause by the want of a proper quantity of adipose substance to cushion out their cheeks. Their stature low--the average height of four hundred men, . . . being five feet six inches. Their limbs slender, and playing badly and ungracefully. A very general bowing of the legs. Great numbers of girls and women walking lamely and awkwardly, with raised chests and spinal flexures. Nearly all have flat feet, accompanied with a down-tread, differing very widely from the elasticity of action in the foot and ankle, attendant upon perfect formation. Hair thin and straight--many of the man having but little beard, and that in patches of a few hairs . . . . A spiritless and dejected air, a sprawling and wide action of the legs . . . "
It seemed to be generally known, but not openly acknowledged, that the work caused severe deformities among the workers, especially the children whose bones were not yet formed.
" Since the passing of the Factory Act the change in the condition of the factory operatives is wonderful. Previously, cripples among them were very common, and the mortality great, arising from the excessive hours of labour . . . "
Children as young as five were put to work in the factories, their hours and working conditions no better than their elders. At first, many children were taken from the workhouses and "apprenticed" to the factories. Apprenticeship in this case was a polite euphemism for slavery, including being locked up, attempts by children to escape and severe punishments resulting. A Factory Act was passed in 1802 which regulated the hours to not more than 12 per day and included provision for their education. The act had no regulatory arm, however. In 1819, seventeen young girls burned to death in a factory fire in Huddersfield, which had been the scene of rampant Luddite activity a few years before. The tragedy helped fuel the passage of the Factory Act of 1819, which attempted to prevent the employment of children under nine and limited children over nine to a 12-hour day. This act achieved no more than its predecessor. The jobs most frequently assigned to children in the factories were: "piecers," who joined threads that broke on the spinning machines; "doffers," who removed the full bobbins and replaced them with empty ones on the spinning machines; and "scavengers," children who cleaned up the lint under the machines. The Reform Movement as a whole is set beyond the Regency period. But men with more foresight and compassion did exist during the Regency. "The perseverance of these miserable men in their proceeding tends to prove that nothing but absolute want could have driven a large and industrious body of the people into the commission of excesses so hazardous to themselves, their families and the community. . . . I have been in the most distressed provinces of Turkey; but never under the most despotic governments of an infidel country did I behold such squalid wretchedness as I have seen since my return in the very heart of a Christian country." "It is to be a despicable hypocrite, to pretend to believe that the slaves in the West Indies are not better off than the slaves in these manufactories . . . Some of these lords of the loom have in their employ thousands of miserable creatures. In the cotton-spinning work, these creatures are kept, fourteen hours in each day, locked up, summer and winter, in a heat from eighty to eighty-four degrees. The rules which they are subjected to are such as no negroes were ever subjected to." 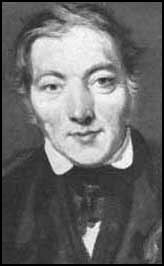 Robert Owen purchased several textile factories in New Lanark, Scotland in 1799. At the time he purchased them, "children from as young as five were working for thirteen hours a day. He stopped employing children under ten and reduced their labour to ten hours a day. The young children went to the nursery and infant schools that Owen had built. Older children worked in the factory but also had to attend his secondary school for part of the day." Owen attempted to convince others to follow his example, wrote books about his theories and lectured widely in the country. There isn't room in this piece to treat the Luddite revolt, except I'd like to place them a little into historic context. There had been protest movements in England at least since the Peasants' Revolt of 1381. In the eighteenth century, and in the nineteenth both before after the upheavals of the Luddites, there were frequent food riots and other protests. The Luddites were only unique in that the tracings of an organized labor movement lead back to them. Just how organized and cohesive they were will probably never be known. The Luddites themselves went to their death silent about their participation and the names of any others. Testimony of the undercover informants has been cast in doubt. Others who reported on the events have their own biases. Circular Knitting Machine, Ruddington Museum. * To the best of our knowledge, Regency clip art used in body of newsletter is public domain. If you know otherwise, please notify webmistress.